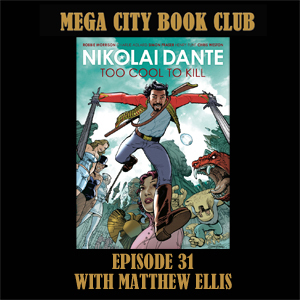 Matthew Ellis converts me to the cult of Nikolai Dante with the first volume of his swashbuckling adventures. Bojemoi! All eleven Dante collections are available from the 2000AD online store. I think it's revealed that the weapons crest is technology from another dimension that the Romanovs did a deal with beings from that dimension.